Feeling peckish while you're indulging in a bit of retail therapy in Nottingham? Get yourself to the Alley Cafe. The Alternative Beer Company is an ethical business importing and distributing 'Taybeh'Palestinian beer. 15% of the company's profits go to Palestinian and Israeli charities. The company has been set up in an effort to support the Palestinian economy (economic stability is crucial for peace) and to make this fantastic beer available to people in the UK. Drinking beer for a good cause, what could be better?! Essential oils specialists with a large range of oils, waters & creams. Atlow Mill Centre has been running courses in Emotional Education for 12 years. This Well-Being holiday offers you time to regenerate, pamper your body, take stock, with opportunities to stimulate thinking and empower you to make positive improvements. We have a range of individual and group sessions to choose from. Bio-D is an independent, family-owned, ethically motivated company, dedicated to promoting the use of hypoallergenic, environmentally responsible detergents that have a minimum impact on the ecosystem both in their use and in their manufacturing process. Where possible, all raw materials are plant-derived and are obtained from renewable sources. It’s refreshing and it’s true. 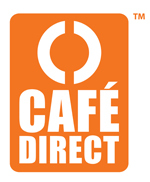 At Cafédirect, what we say really is what you get. We say that our coffee, hot chocolate and tea is lovingly grown by over a quarter of a million highly-skilled and passionate smallholder farmers - and it is. We think that it tastes great and you agree, giving us more Great Taste Awards than any other hot drinks company. When you invest in a Cafédirect drink you also invest in 1.5 million lives thanks to the fact that we plough over half of our profits straight back into the grower communities. We like to keep things simple- the best hot drinks are made by the very people who know best. Cafédirect - we are the growers and you can taste it. Carley’s of Cornwall make a great range of organic products from their famous nut and seed spreads, to hummus and spreads, pestos and pickles, and now some really great curries too. Fabulous tasting nutritious real wholefoods for the discerning customer! The traditional South American tea that has been enjoyed locally over the centuries. It is recognized around the world for the valuable nutrients, anti-oxidants and natural slimming properties. Today millions benefit from maté's many virtues. Since we started buying directly with the makers of Clear Spot Tofu almost five years ago we have seen sales increase in leaps and bounds - means they must be doing something right! The Clearspring goal is to get organic food back on the dining table, so that you can enjoy the same quality of foods as your grandparents did. By developing the demand for organic foods and encouraging the cultivation of organic crops by farmers today, we can ensure that your grandchildren, too, can enjoy the great taste of good food. Around for over 20 years, Clipper were one of the pioneers of the Fair Trade ethos. bring delicious fairly traded chocolate into the hearts and mouths of every chocolate lover in the country. Doves Farm are organic flour and gluten free flour specialists. We have separate mills for organic and gluten free flours as well as a separate bakery. The Doves Farm story began at our farm near Hungerford in 1978. We make organic and gluten free products including great tasting bread flours, biscuits, cookies, cereal bars, breakfast cereals, pasta & baking requisites. At the heart of the business we are organic flour specialists. develop and produce a large range of a environmentally sensitive cleaning products. In 1900 Thomas Fentiman was approached by a fellow tradesman for a loan - a deal was struck, as in those times an Englishman's word was his bond. "A Week Is A Long Time In Politics" - and even longer in making superior soft drinks, as we cram over 100 years experience in to each fermentation of our botanically brewed beverages - which took up to seven days from start to finish. Glebe Farm in Cambridgeshire is a 500 acre arable farm and home to award winning farmer, Rebecca Rayner. The farm produces organic wheat and spelt flours, beer and bread mixes. As well as this, the farms’ specialist Gluten Free range of flour, bread and cake mixes is mouth wateringly delicious and suitable for coeliacs and food lovers alike. Glebe Farms new breakfast cereal includes Gluten Free Porridge Oats, Oat Muesli and Strawberry or Maple & Pecan Granola Crisp. The range is wholesome, nutritious and contains the finest oats which are milled on the farm. We are a UK company which offers a wide range of organic skin care products for babies, children and adults, and we have a firm commitment to producing these without compromising either our ethics or the environment. producing 100% organic Tempeh in Somerset for almost 15 years. supply a wide range of, yes, you've guessed it: wholefoods, that continues to go from strength to strength. specialises in the organic sector of the prepared foods market, supplying rice cakes, breadsticks,stock cubes & crackers. supply personal care and herbal products for women, organic cotton tampons, all supported by excellent point of sale material. Nutritionist Resource is an online directory advertising qualified and/or registered nutritionists in the UK and Northern Ireland. If you are looking for a knowledgeable, trustworthy nutritionist to help you make positive changes to your diet, then Nutritionist Resource is the perfect place to begin your search. Lembas has been certified by the Organic Food Federation since 1997.
supply very tasty licorice in a wide variety of flavours and sizes. Peppersmith is different from most chewing gums because we use high quality real mint, natural chicle and we stay away from anything artificial. So no artificial flavours, colours or preservatives, no aspartame and no petro-chemical bases. Percol coffees will connect you with people who grow, buy, drink and live coffee. We want to ensure a sustainable future for coffee communities and therefore great quality coffee for years to come. 'Good for Life' is our initiative to support these aims. We start by sourcing Fairtrade certified coffee where possible. Grow oats, wheat, rye and barley as well as rearing beef, pigs and sheep. They are a Soil Association demonstration farm, with a continuous program of tree planting and landscape enhancement. is a vegan company manufacturing exclusively vegan foods with sales throughout the EC. Provide genuine Ayurvedic herbs and products from plants grown in their original enviroment, the Indian subcontinent. This optimises their potency, authenticity and quality. Home Delivery in Derby (and nearby), from a van running on recycled oil. Organic fruit and veg boxes starting from £10, plus fresh organic bread, organic wines and beers, eco-house and bodycare, and a wide range of wholefoods. Please email home@soundbitesderby.org.uk or call 01332 291369.
specialise in fairly traded sun dried fruits & vegetables. Veggies Catering Campaign provides catering services using no animal ingredients whatsoever and gives support to campaigns for social justice. The idea is that you return from holiday feeling fit and well! Whole Earth began as a little company with some big ideas about offering more natural, healthier food. 40 years on, we’re still a little company with the same passion. Only “organic” is a less scary word than “macrobiotic” and more and more people are coming to share our vision. YOGI TEAs are created with purpose, using masterfully blended ingredients. Our philosophy is rooted in Ayurveda, which combines sensual pleasure with a balanced approach to overall health and well-being. We invite you to experience all that YOGI TEA has to offer and achieve balance and joy in every aspect of your life.